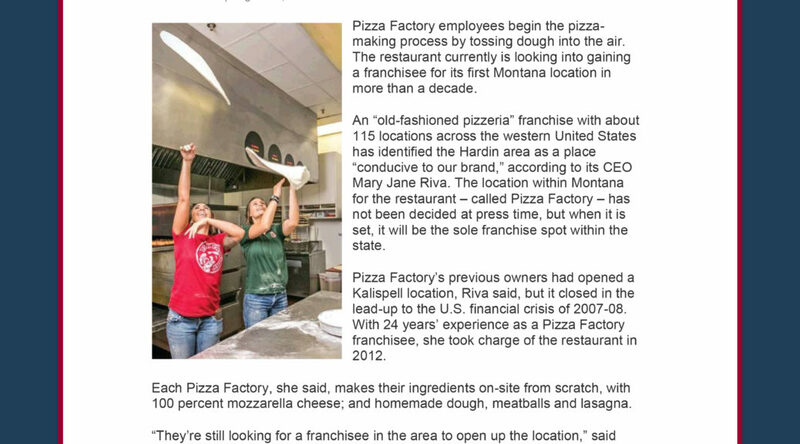 All Points PR coordinated press coverage with Big Horn County News for client Pizza Factory. The article shared the news about the franchise’s plans to grow into Hardin, MT and included information about its No Bully Zone initiative. Coverage ran online.